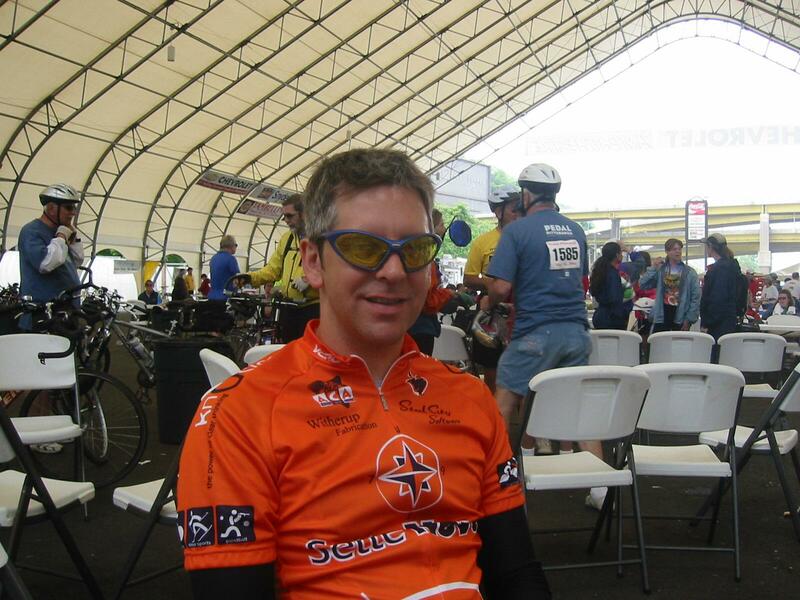 AFTER GEORGE Madzia of Adena passed away in November of 2002 from melanoma, his son decided to help find a cure, even if meant traveling across the width of the nation. 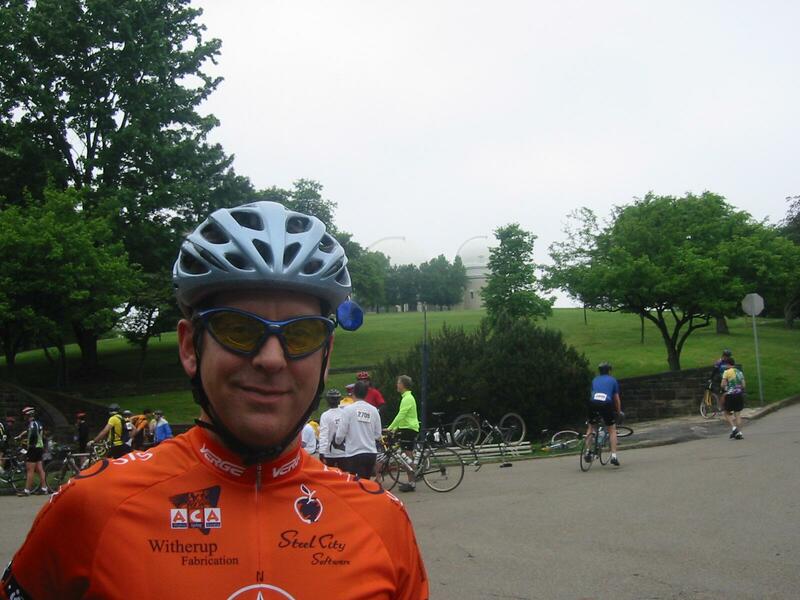 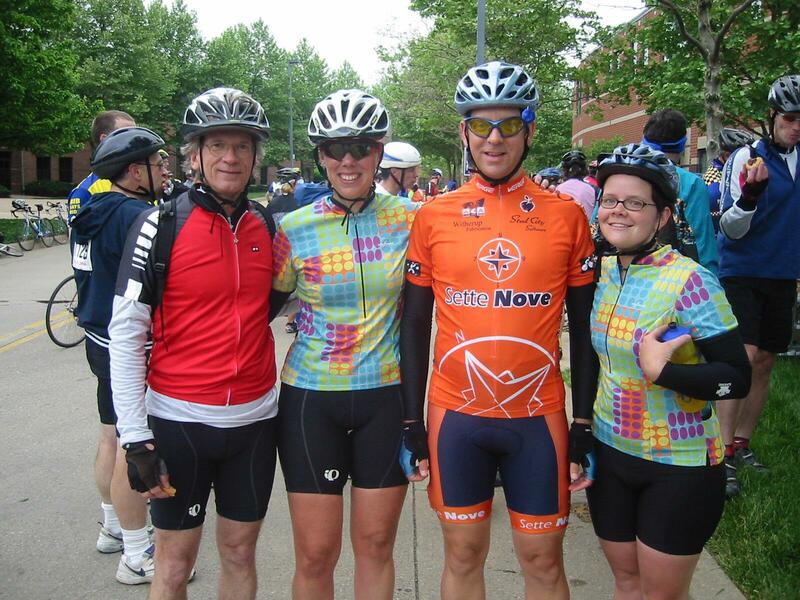 Kevin Madzia, 39, of Pittsburgh, Pa., will participate in the Coast-to-Coast Community Challenge, a bicycle tour organized by the Cycle America touring company. 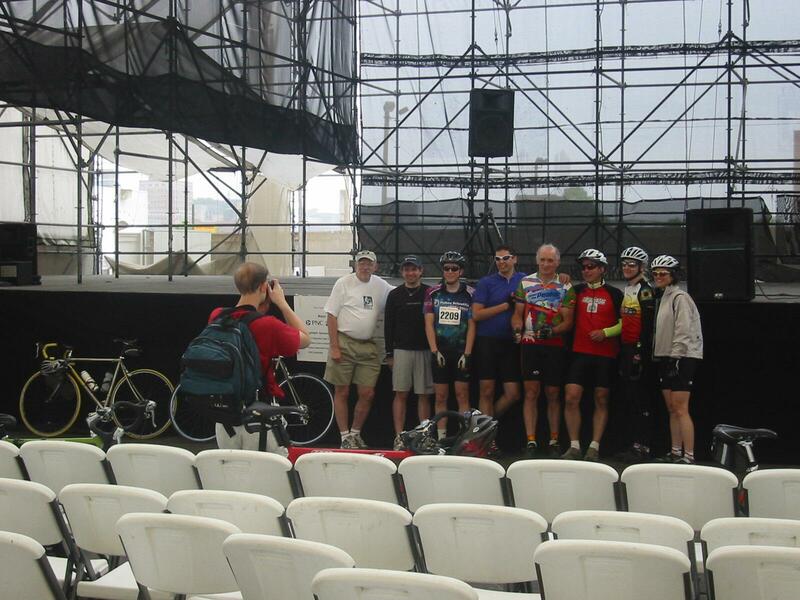 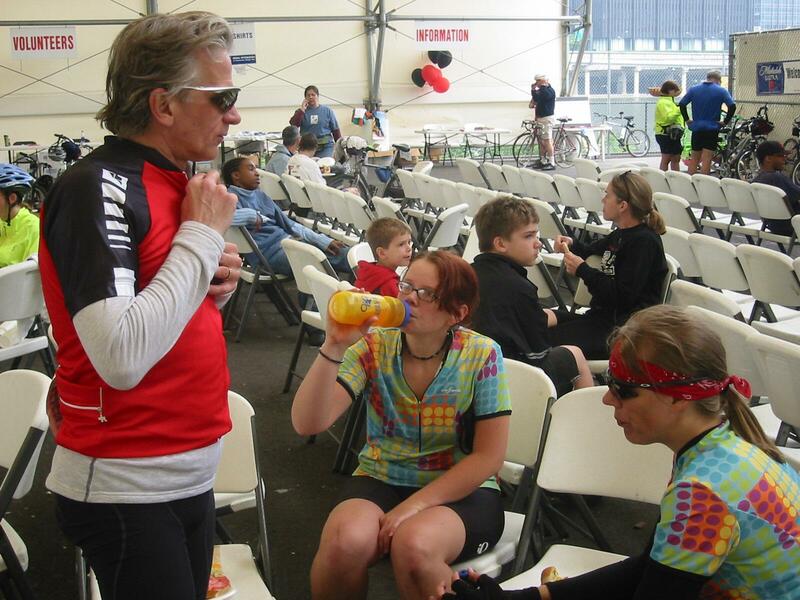 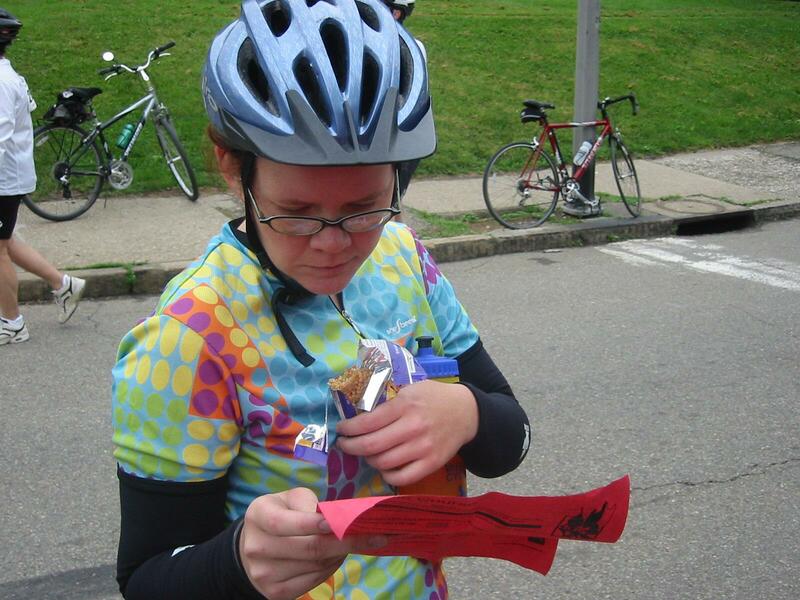 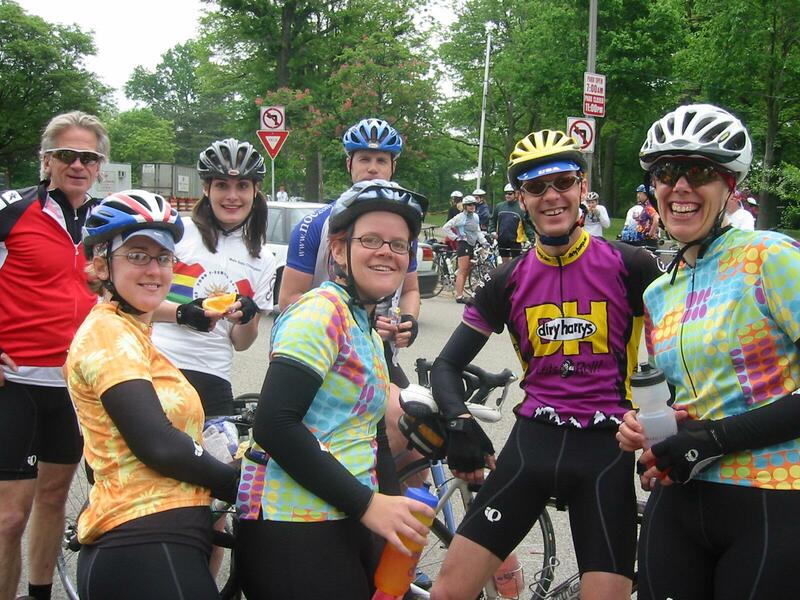 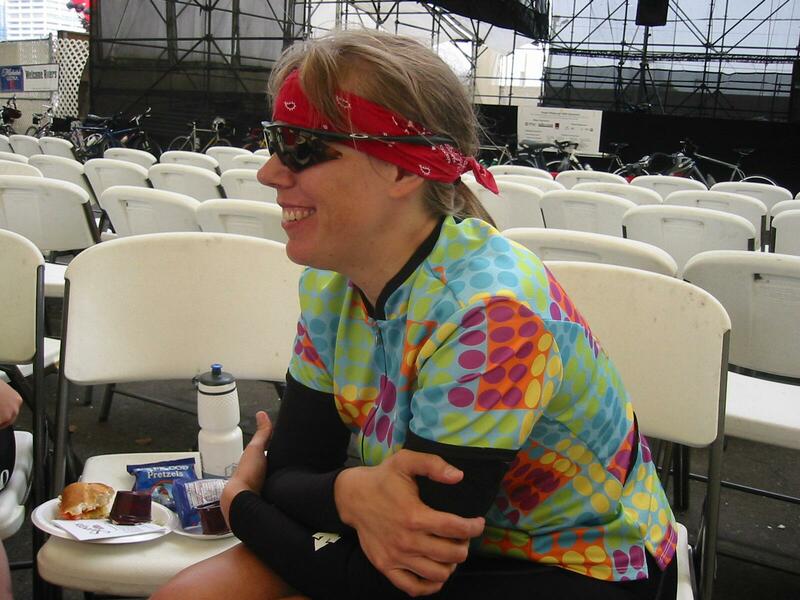 About 50 bicyclists will set out from Seattle, Wash., June 20 and pedal their way to Gloucester, Mass., on Aug. 21. 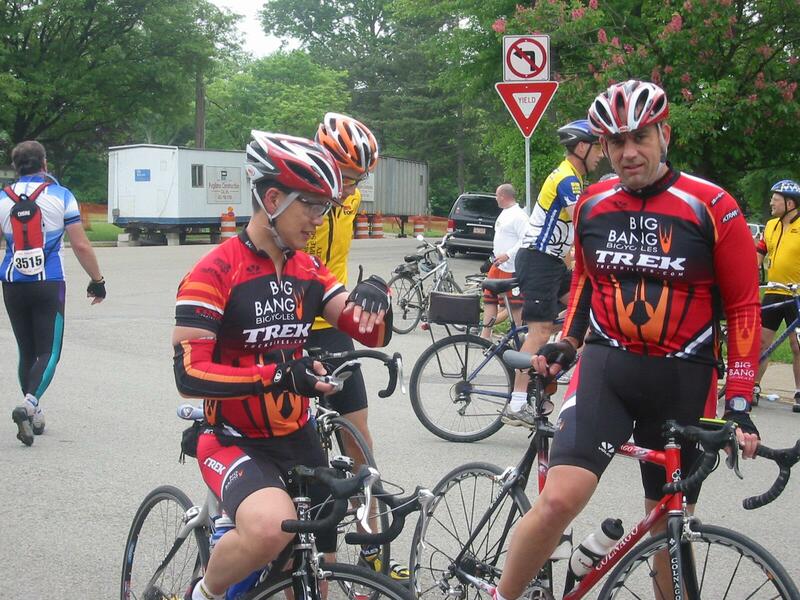 The bicyclists will be riding for the charities of their choice. 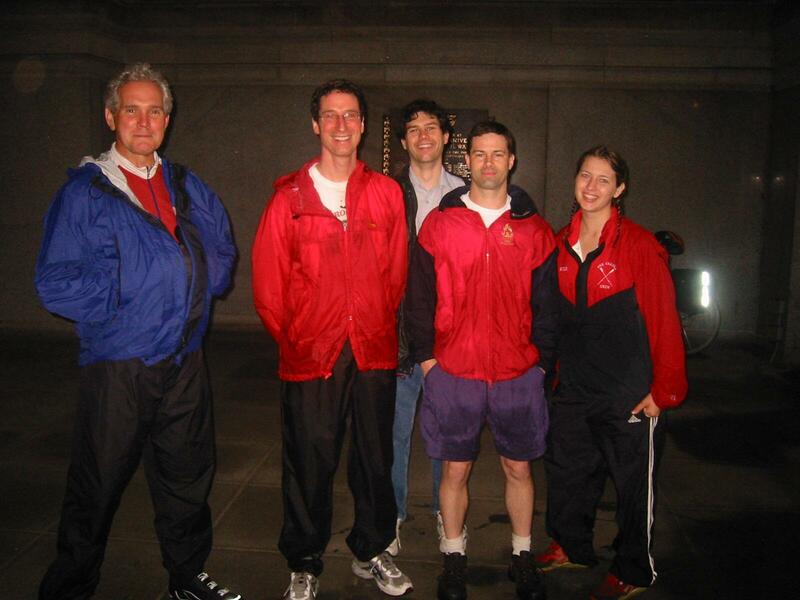 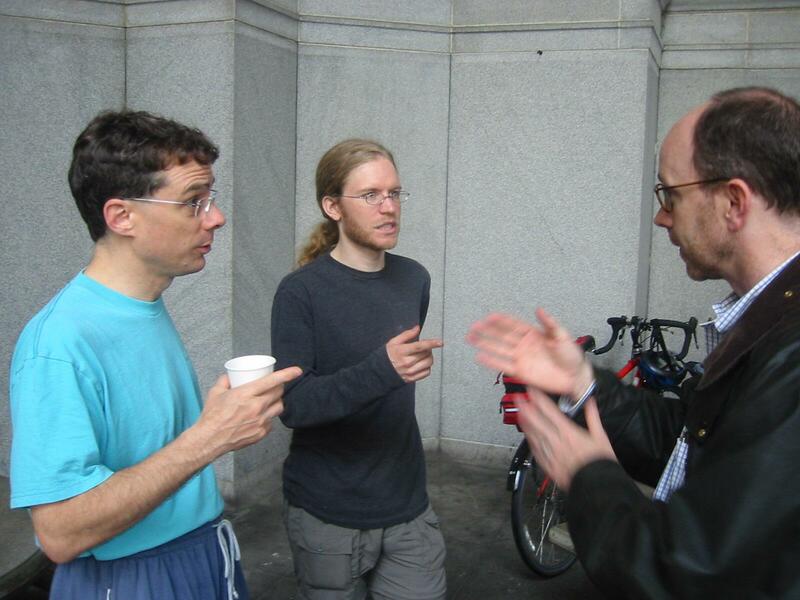 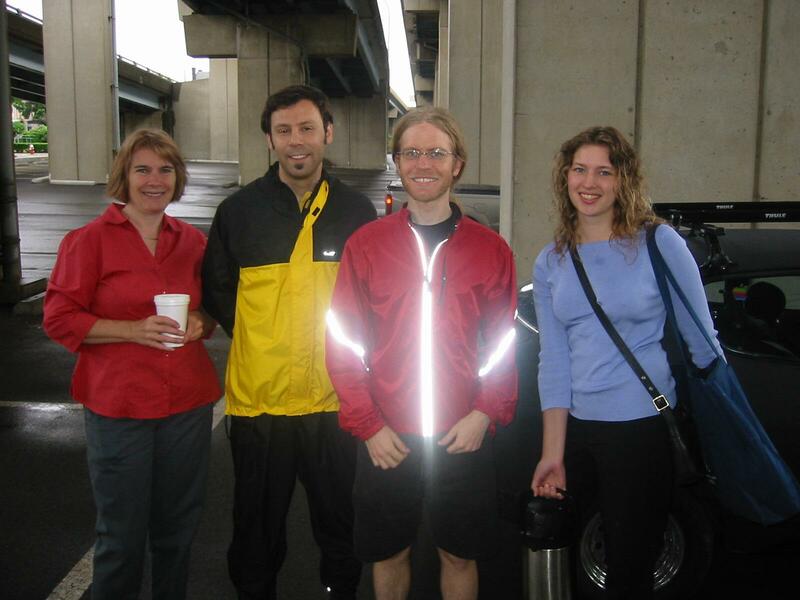 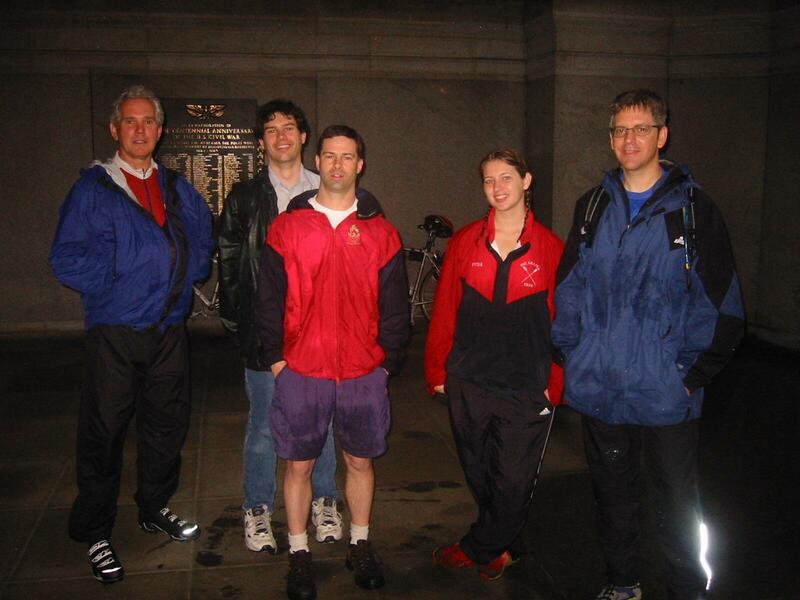 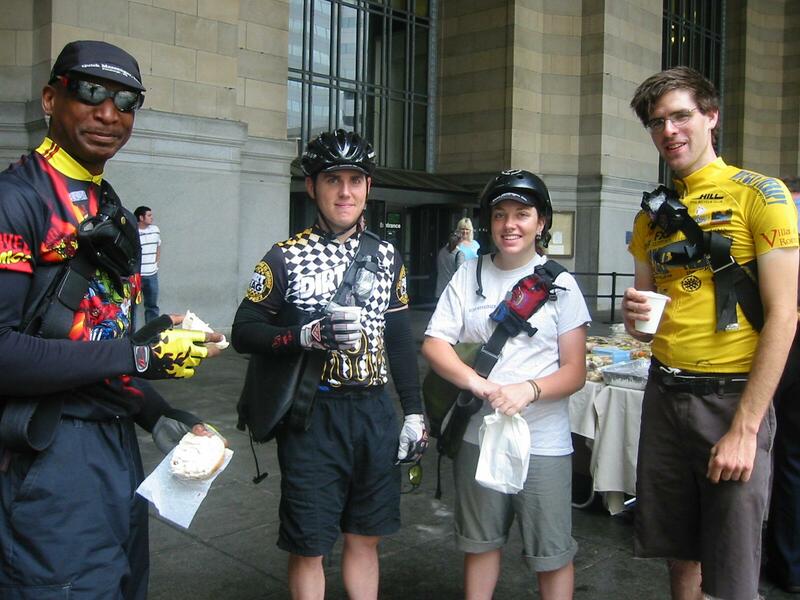 National Bike to Work Week was held on May 17 through 21, 2004. 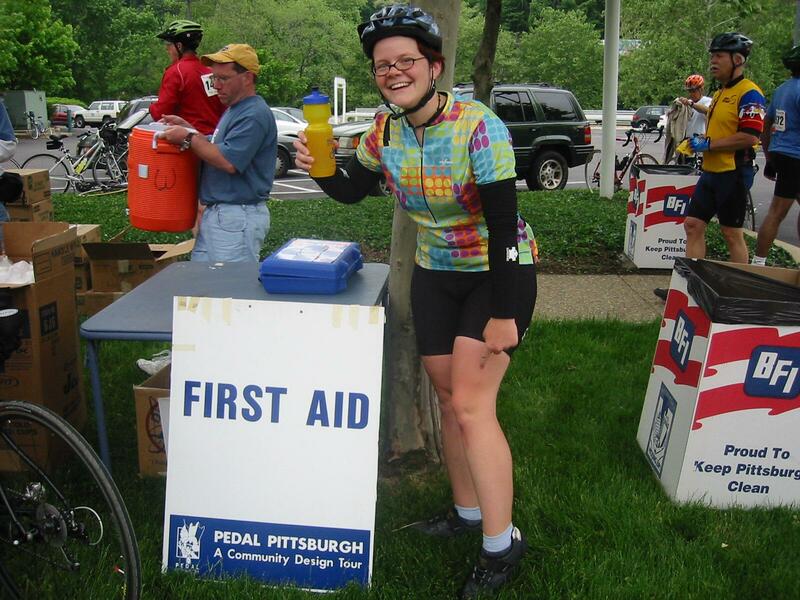 The festivities in Pittsburgh were organized by Bike Pittsburgh, with help from Friends of the Riverfront and Venture Outdoors. 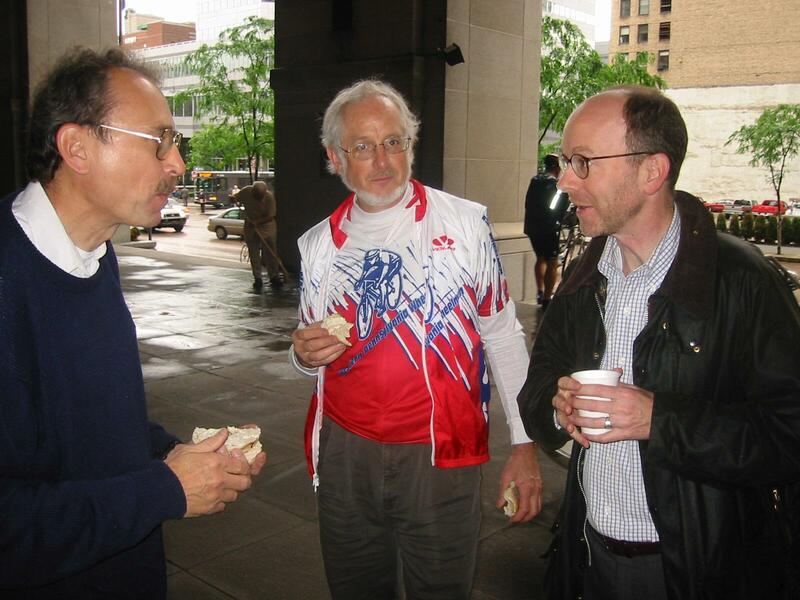 I stopped down for the Park ‘N Pedal event at the Manchester park ‘n ride lot on Tuesday, and the commuters’ breakfast at the portico of the city/county building on Friday. 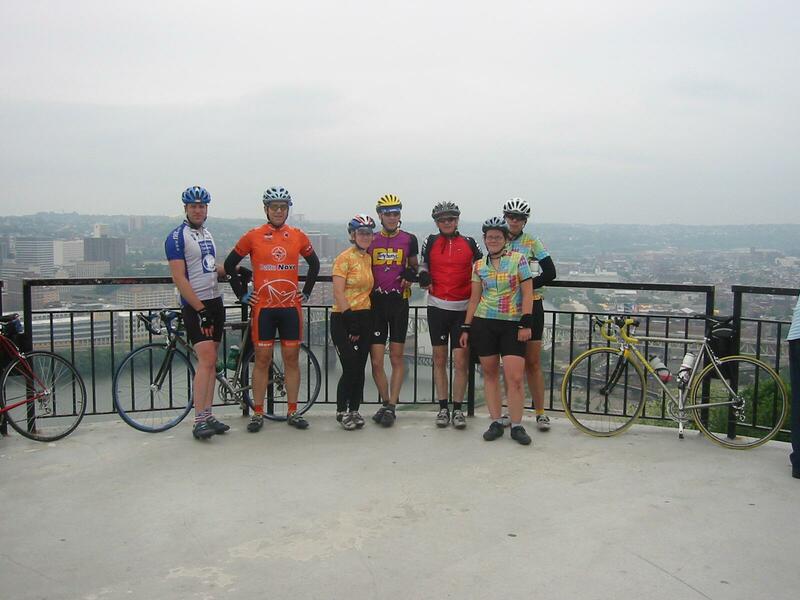 Both mornings started off with severe thunderstorms, but turned very pleasant by mid-morning. 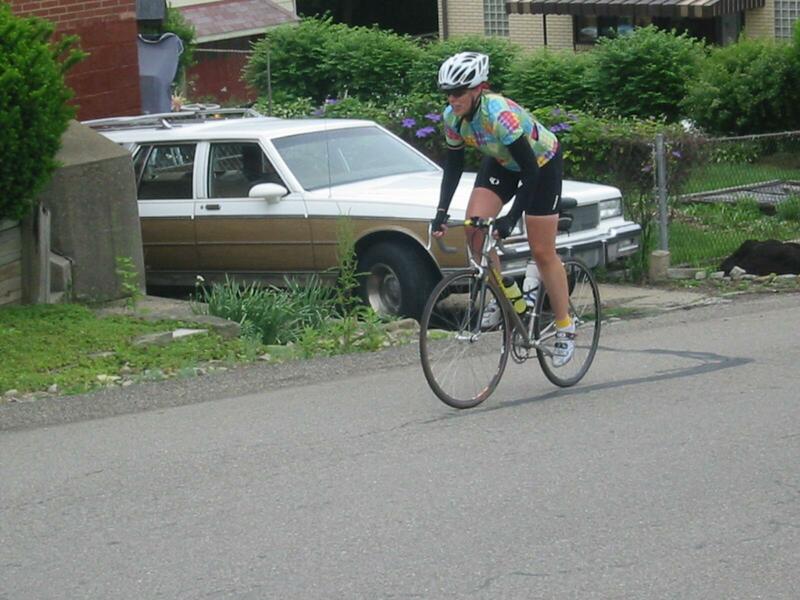 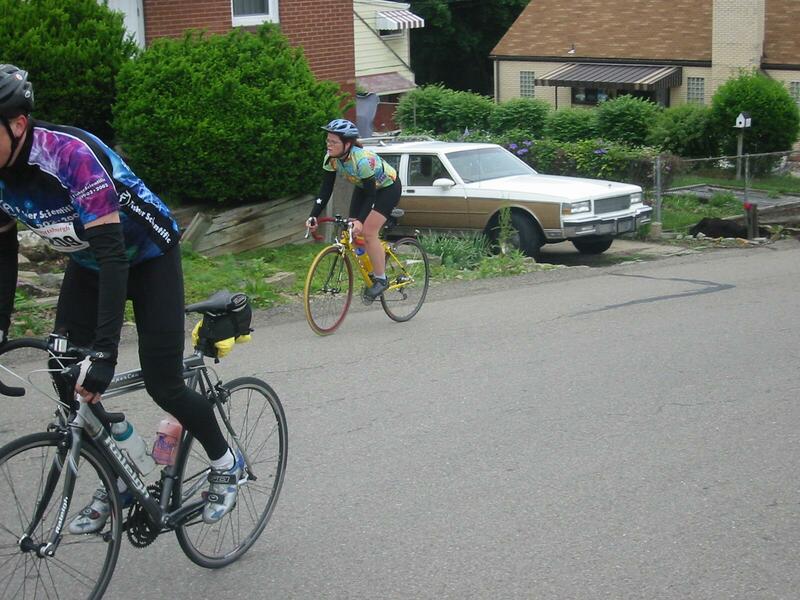 Today was the 11th annual Pedal Pittsburgh. 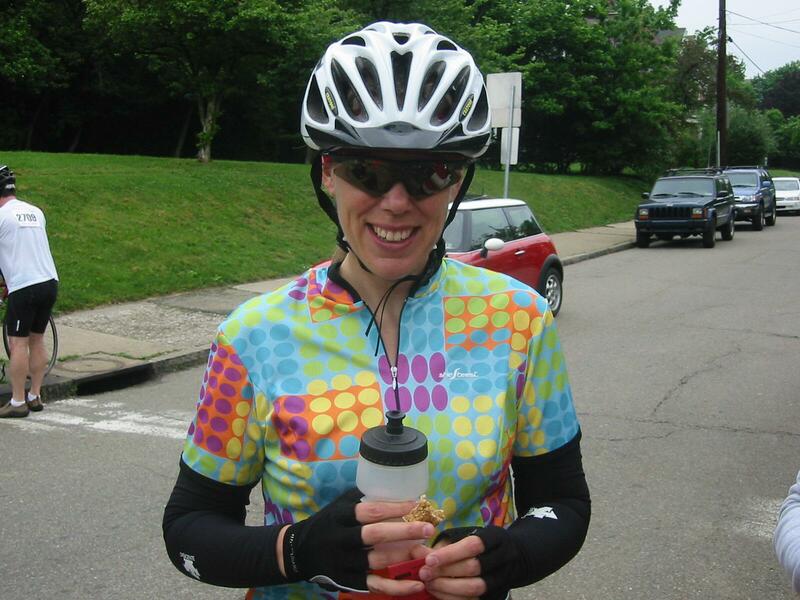 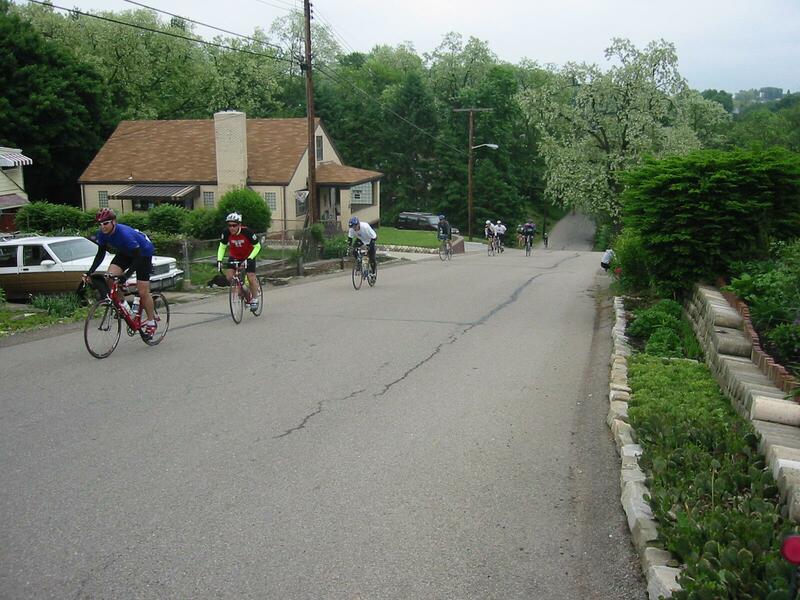 This 60-mile ride highlights the character, architecture, and landscapes of Pittsburgh’s many neighborhoods. 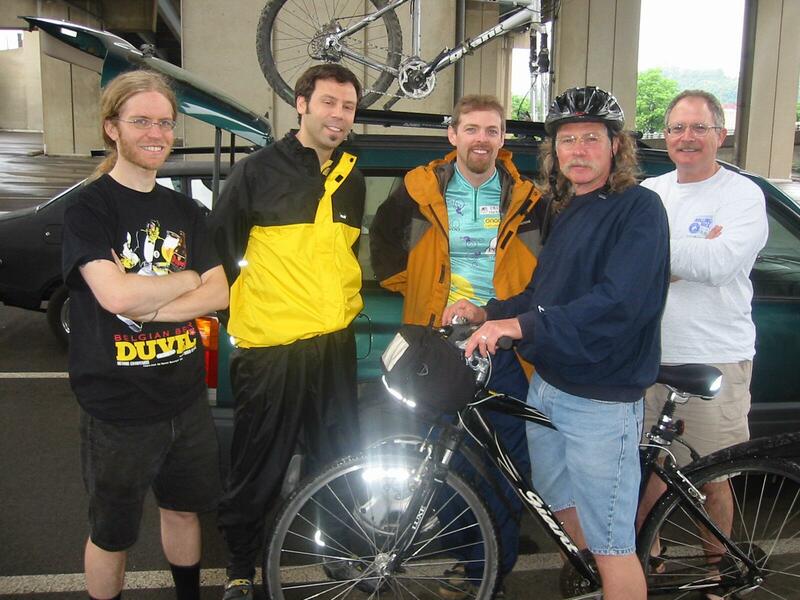 It’s sheer coincidence that Adena native Kevin Madzia’s 4,200-mile cross-country bicycle trip begins on June 20, Father’s Day. 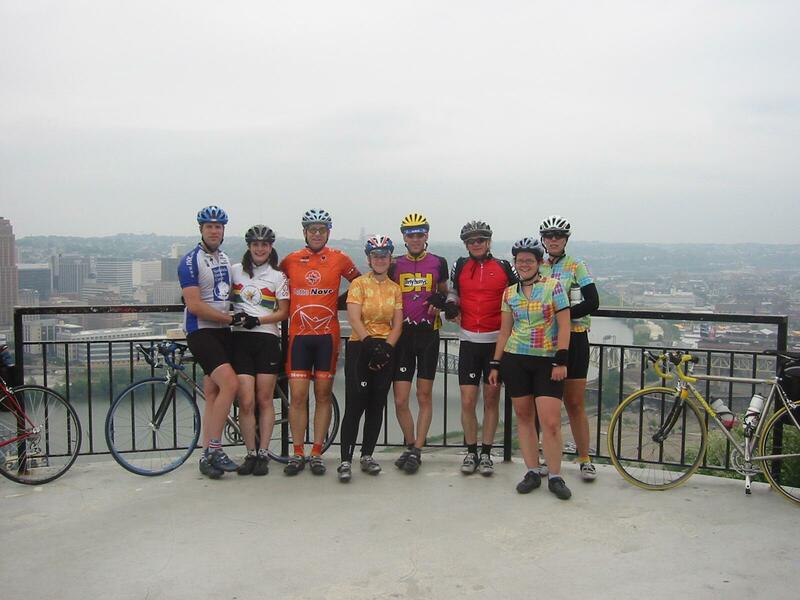 But it’s no accident that he’s riding through 13 states and Ontario, Canada, to raise funds for melanoma research and to generate more awareness about the deadly form of skin cancer that claimed the life of his father, George Madzia, who died in November 2002 at the age of 62.The 39-year-old Pittsburgh resident, also the son of Sandy Madzia of Adena, will begin his coast-to coast Miles for Melanoma journey in Seattle and nine weeks later on Aug. 21 arrive at his final destination – Gloucester, Mass.